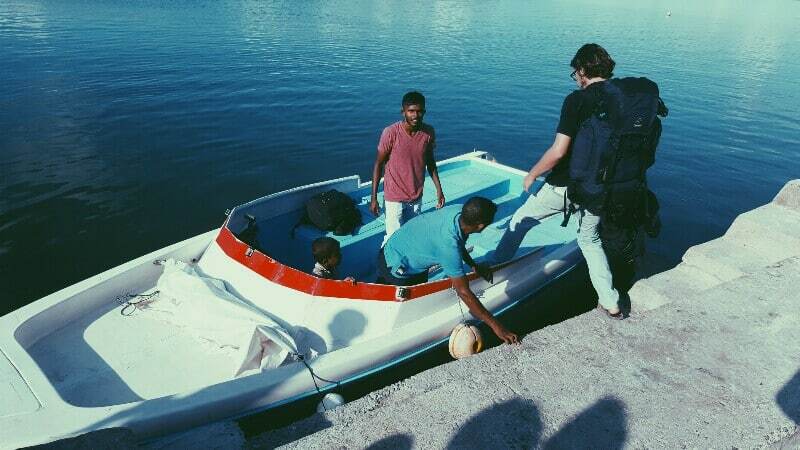 Another day another dhabas, so we packed up our bags this afternoon and hopped on a friend’s launch in Rathafandhoo, heading for the end of the reef. Five minutes across the glassy-smooth lagoon and we rounded a bend, passed a huge rock and slid into Fiyoari’s open harbour. Here we’ll stay for a couple of days before making the channel crossing to Faresmaathoda, Vaadhoo and Gadhdhoo.